Christmas is gone & now Easter is around the corner! To help with the Easter eggcitement, we have compiled a short list of eggcellent Easter crafts and activities for you and your little ones. With some branches collected from your garden or local park put into a vase, decorate your Easter Tree with some homemade ornaments. 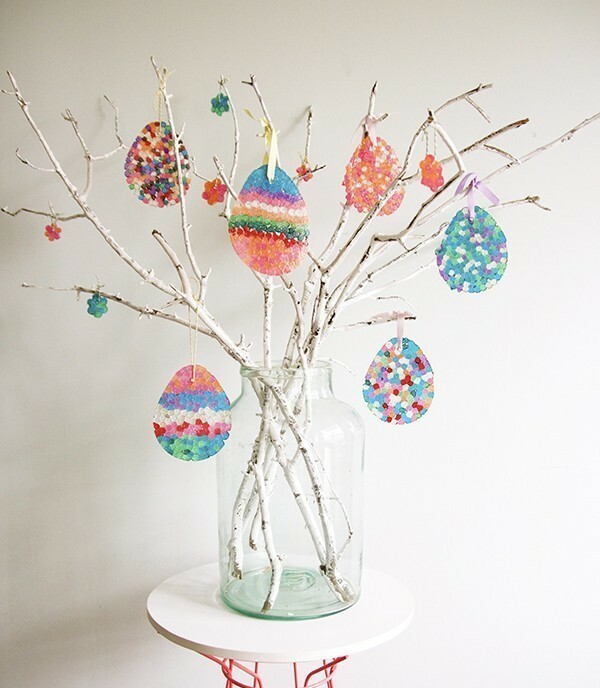 These Easter Egg decorations were made using beads melted in a cookie cutter shape. Clever hey?! Get creative with Sharpie pens – no mess and no cleaning up! 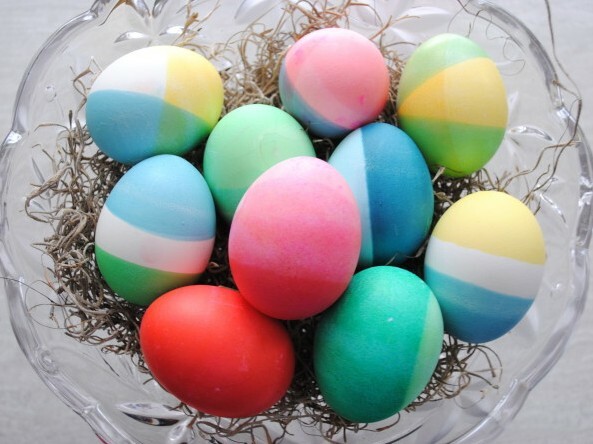 Have a go with this fun, inexpensive and easy craft idea and make yourself a nest of dip-dyed Easter Eggs for a table centrepiece or lesson in science and colour mixing. 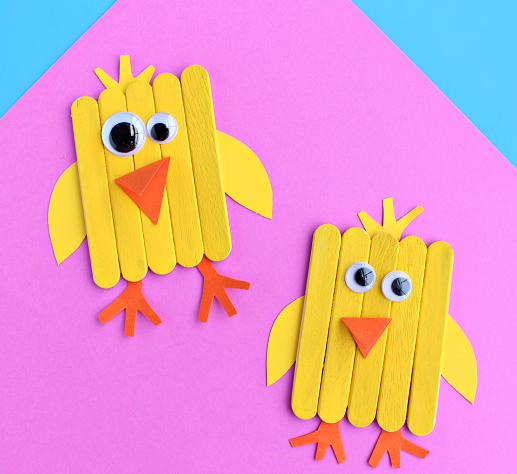 Make a family of these quirky chicks out of popsicles, craft paper and googly eyes. 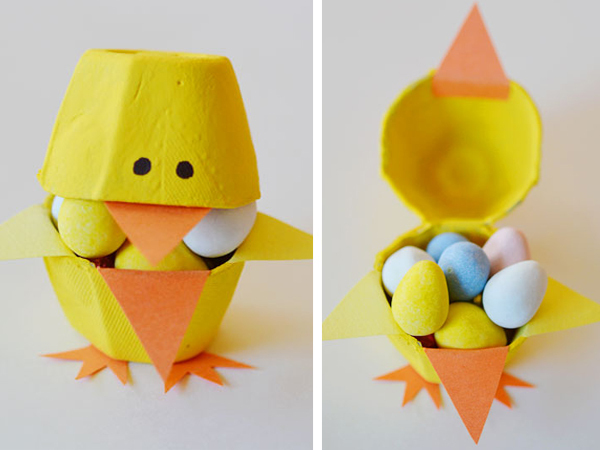 Transform an old, clean egg carton into a little chick that can open it’s mouth. Your little one will love filling it up with eggs! 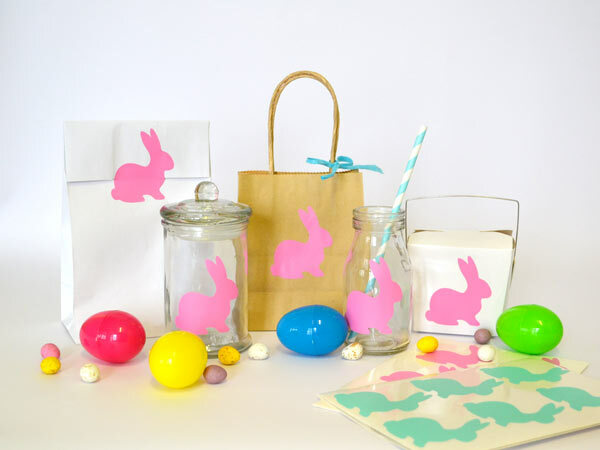 Make your Easter craft and parties easier by purchasing a packet of Bunny Wall Decals from Bright Star Kids. Use them to decorate baskets, bags, jars, cards and many more items! 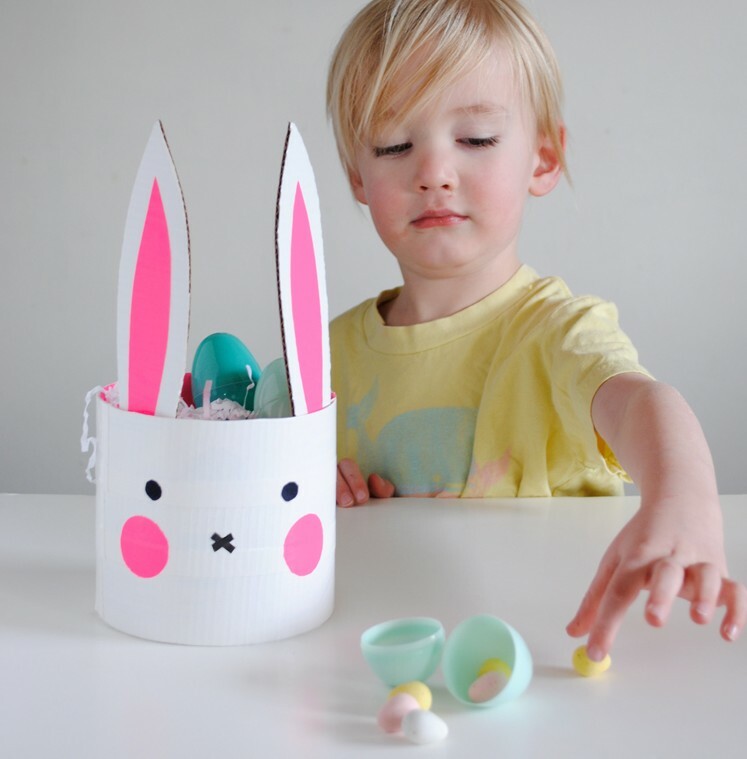 This cute Bunny basket was made using tape and a recycled cardboard tube. 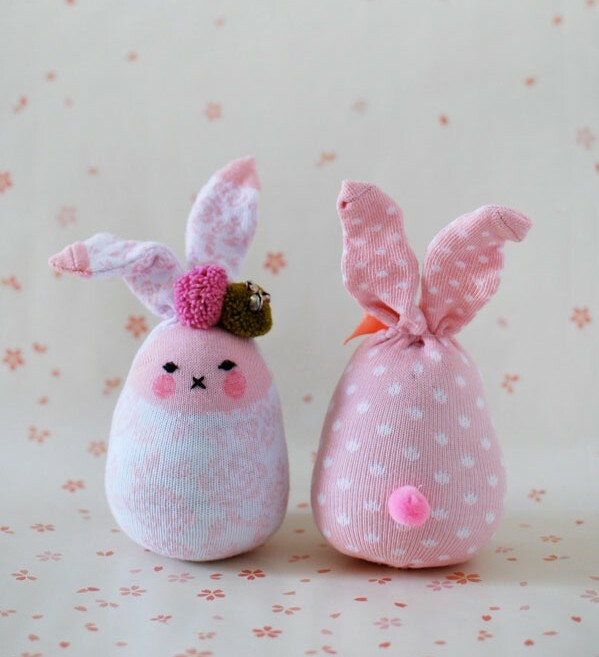 I’m in love with these sock bunnies, are you as well? 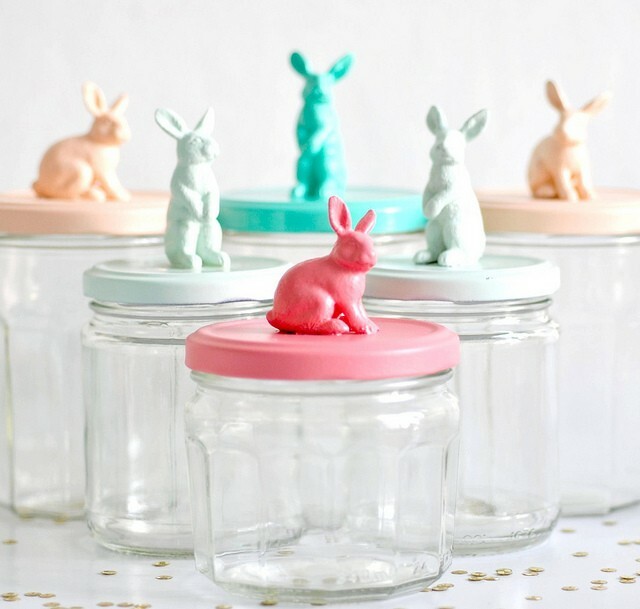 Fill these jars with some Easter treats or use them as storage containers. 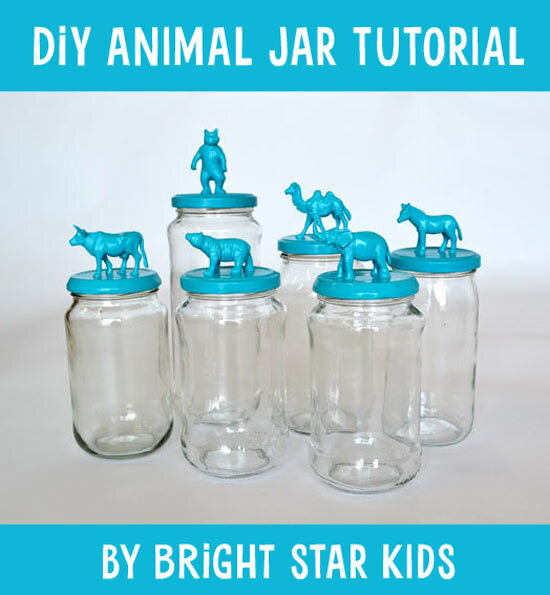 You can also see our tutorial for making your own animal jar. No room for a real Easter Tree? 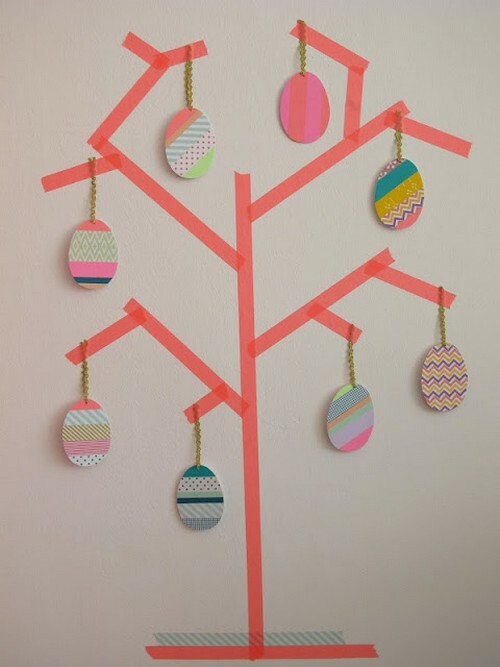 You can easily make a tape Easter Tree using Bright Star Kid’s removable Line Art Wall Decal Tape in a colour you prefer and decorate your tree with Easter decorations. 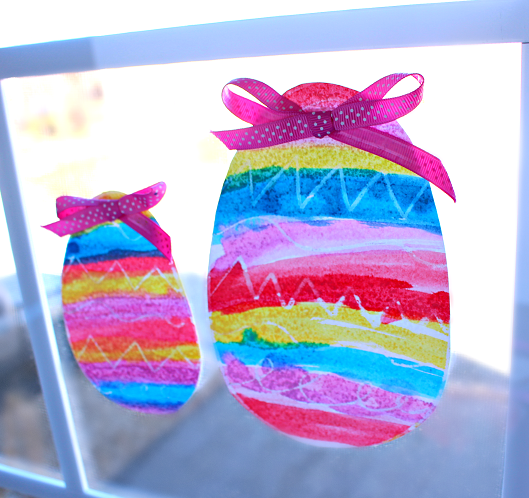 Your kids will love seeing their secret patterns appear with this crayon resist Easter egg tutorial. 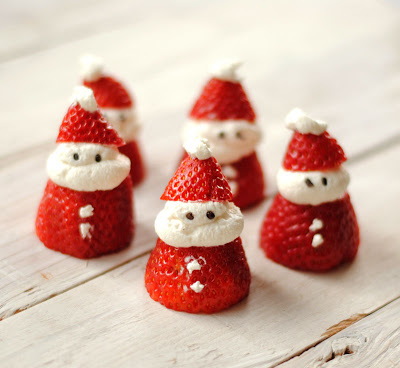 It will be hard to stop making them! Want to exercise your kid’s motor skills? 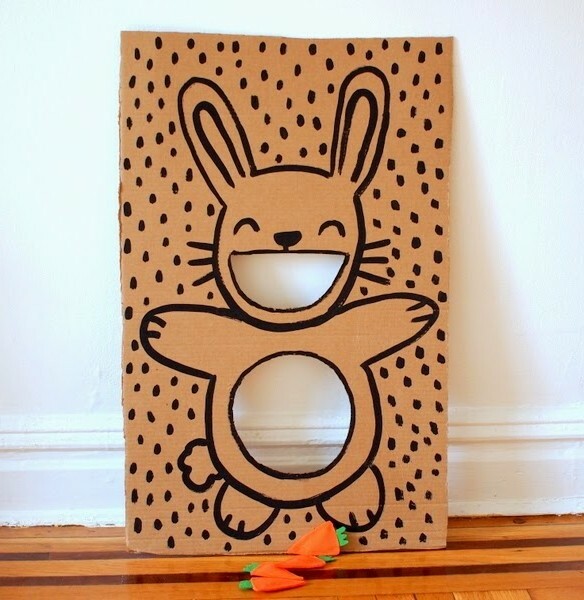 Make this easy Easter Bunny Bean Toss along with the carrots and let your kids try and toss them into the the bunny’s mouth or belly! 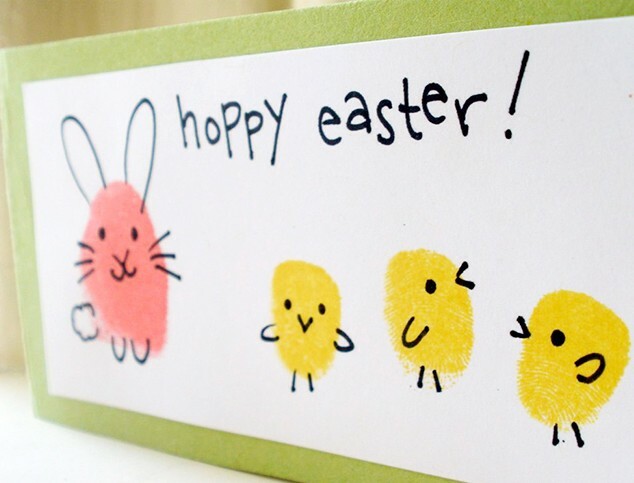 Friends & family will love receiving personalised Easter cards with your child’s fingerprints. 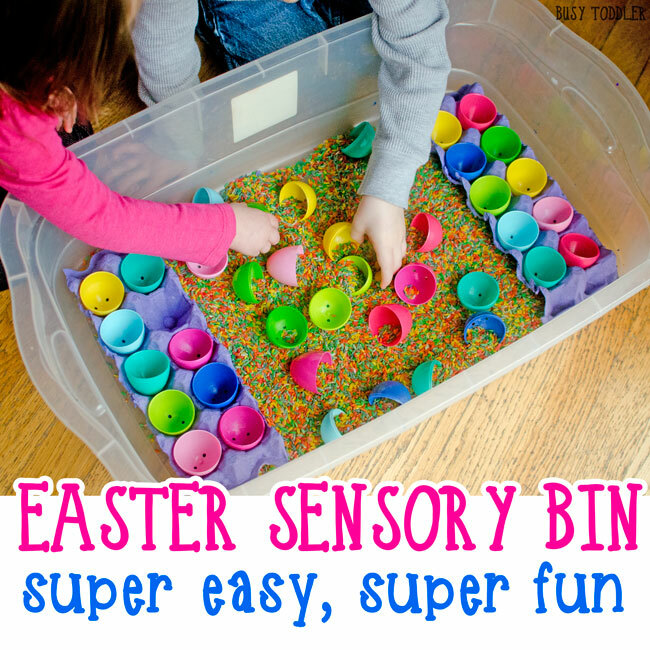 Using bird seeds, and all different items you can pick up from around the house and a $2 shop, make a sensory bin for your kids to build, create and play together. 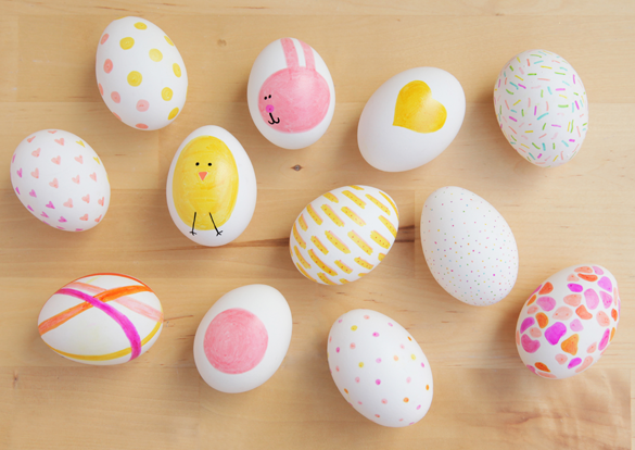 We hope you have enjoyed this compilation of eggcellent Easter crafts & activites. Happy Easter!